It’s time to stop pitting these sisters against each other. 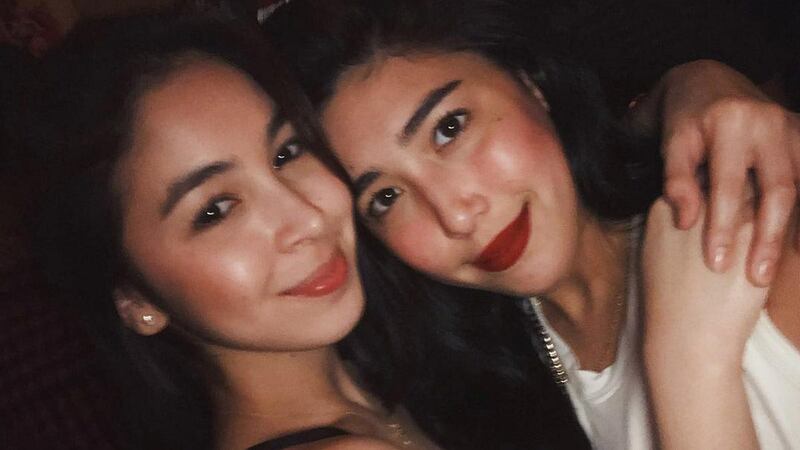 In a series of tweets posted on April 30, Dani Barretto shared her annoyance over haters comparing her to her sister Julia Barretto. "I don't understand these bashers when they say 'ay mas maganda si Julia sa'yo,'" she starts her tweet. "Ay bakit nagpapagandahan ba kami? Kailangan pareho talaga kaming mukha? 'Di pwede maiba?" She continues her comments against haters saying, "Kung maka-bash kala mo life and death situation 'pag hindi ko kamukha mga kapatid ko e."
Dani ended her tweets with a friendly reminder for haters out there: "Can we all just mind our own business and be happy with our lives? You bashers should try it. It's good for the soul"
Actress Bela Padilla chimed in with kind words about her best friend, "Spend five minutes with this one and she instantly becomes the most beautiful girl in the room. So charming and funny and she’ll go out of her way to make you feel comfortable." she said. "And this is on top of the fact that she actually is physically beautiful." Dani's sister Julia was also quick to come to her aid saying, "How could anyone bash someone whose soul is as beautiful and as kind as yours?" Julia ends her tweet with a supportive reminder: "Don't let them get to you. You're beautiful let no one tell you otherwise."